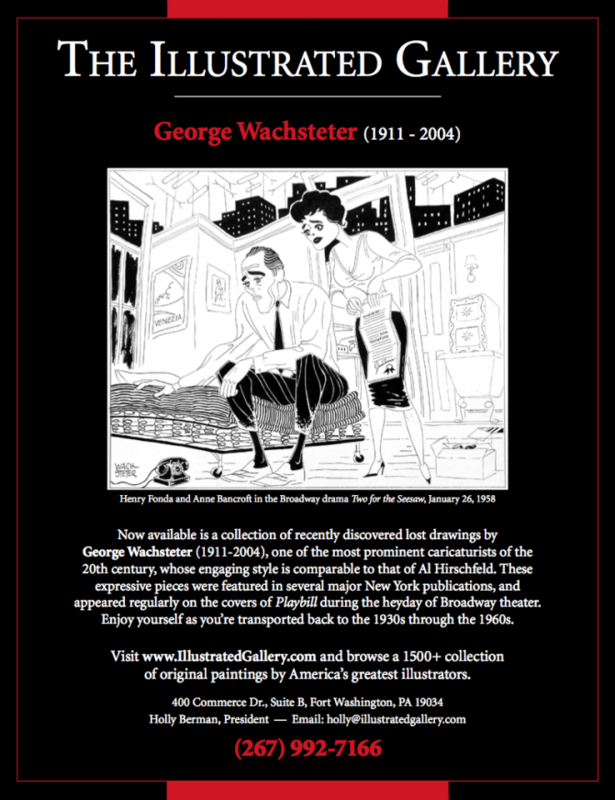 Now available is a collection of recently discovered lost drawings by George Wachsteter (1911-2004), one of the most prominent caricaturists of the 20th century, whose engaging style is comparable to that of Al Hirschfeld. These expressive pieces were featured in several major New York publications, and appeared regularly on the covers of Playbill during the heyday of Broadway theater. Enjoy yourself as you’re transported back to the 1930s through the 1960s.